This week Professor Terry takes a break. In honor of Valentine’s Day I am sharing the top ten things I love about the M.U.S.C.L.E. community. 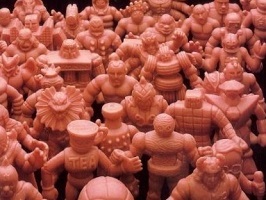 Each week Professor Terry provides a different M.U.S.C.L.E.-related top ten list. This week is titled: The Top 10 Worst M.U.S.C.L.E. Figures. Each week Professor Terry will provide a different M.U.S.C.L.E.-related top ten list. This week is titled: The Top 10 Most Inappropriate M.U.S.C.L.E. Figure Names.